DatabaseUSA.com® has the most comprehensive Construction Industry Professionals database available. If you are looking for Construction Industry Professionals, DatabaseUSA.com® has you covered. 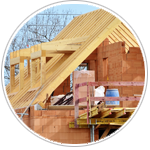 The construction business includes individuals that are tradespeople, laborers or professionals that are employed in the business of buiding houses, businesses and many other structures. Selections are available by trade types, such as laborer, carpenter, electrician, heavy equipment operator, iron worker, mason, plasterer, plumber, pipe fitter, sheet metal worker and welder. Construction work requires skill and manual labor. Our professional staff is trained to help provide you with the most accurate list possible. We can target your list by region, zip code or by city or state. DatabaseUSA.com® offers the most up to date professional database. Choose from hundreds of selection criteria. Contact DatabaseUSA.com® today to receive a construction industry professional list, or fill out our contact form. We will help you tailor your list of professional leads for your targeted marketing campaign. Complete the form or call 877.407.0101 for more information on our Construction Industry Professional Lists. Fill out the form or call Jesse at 402.939.3848.